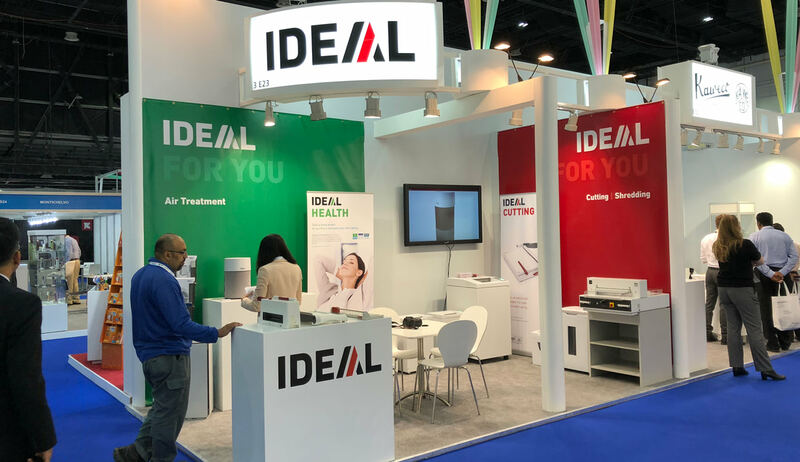 This year Paperworld Middle East in Dubai again provided the perfect platform to present our shredders, cutters and air purifiers under the roof of the German Pavilion. Apart from maintaining contacts to our existing agents from the Near and Middle East, we could also create new contacts. Great interest in the products "Made in Germany"
The visiting purchasers and buyers took great interest in our products, which are made for the professional user in the office or in the print room. Due to its international orientation, Paperworld Middle East proved once more that the countries along the Persian Gulf still have a great potential for sales growth of our IDEAL products “made in Germany”, which are highly regarded in this part of the world.